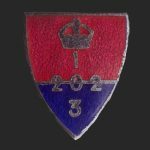 An original member of the Patrol Sgt Charles Henry Moxlow was killed in road traffic accident on the way to Middleton Hall for training. Sgt Moxlow had just been promoted to Lt to take over the Group as Commander. The Patrol Target was RAF Staxton Wold Radar Station. A postscript to this story we found that was very sad. On the Flixton Memorial that remembers all the 1st and 2nd World War Dead is a Simple carving of a name, Sgt Charles Moxlow. Home Guard. Even in death this particular chap wasnt given the recognition he deserved, not even his newly commissioned rank of Lieutenant.